Hey folks – another weekly beer review. 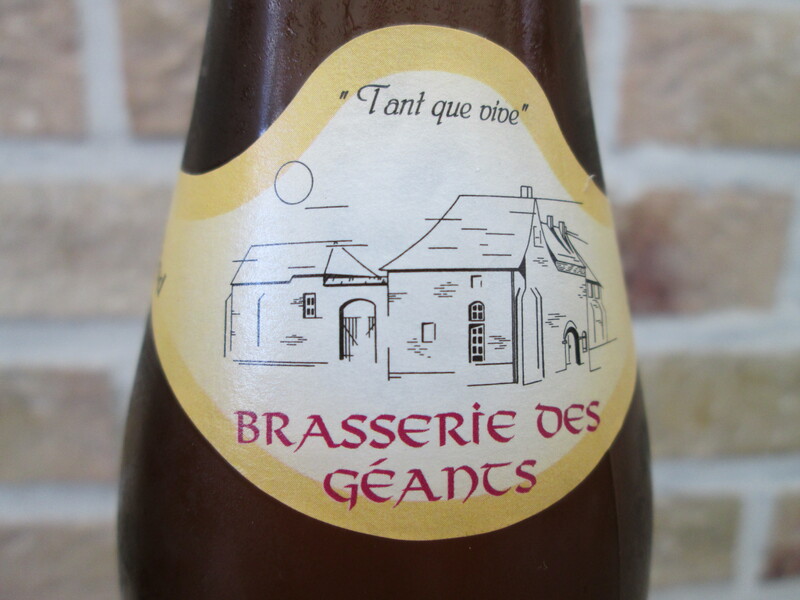 This beer is a Belgian ale that is brewed just 15 minutes from where we live in the small city of Ath (pronounced “At”). This city is known for being the city of the giants, here in Belgium, and hosts an annual celebration along those lines. Anyhow, the beer is no real big surprise in terms of flavor or other unique quality. 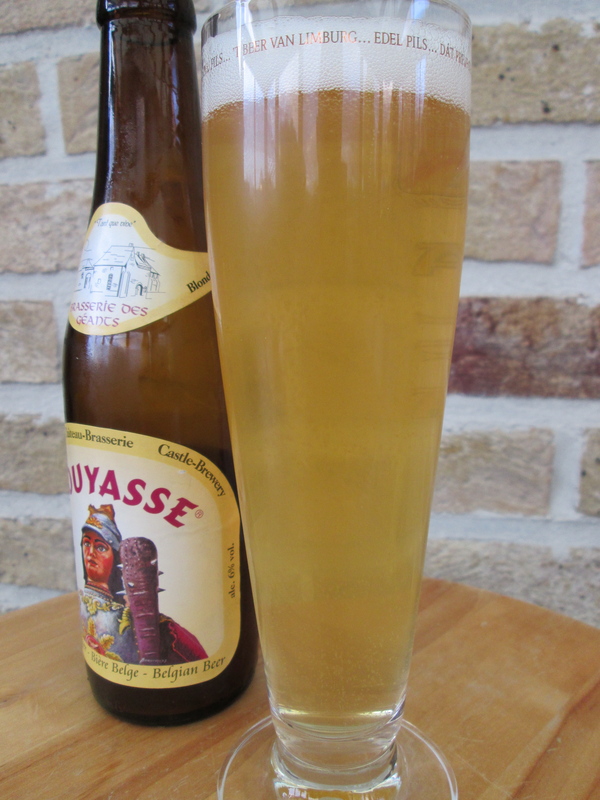 It pours a bit hazy and golden, and is well carbonated. The beer is very light and refreshing, and would be a great beer to put back after maybe a long day of work on a summer day. The initial feeling is very crisp and fruity, light fruits that is.. apples, grapes, and such. 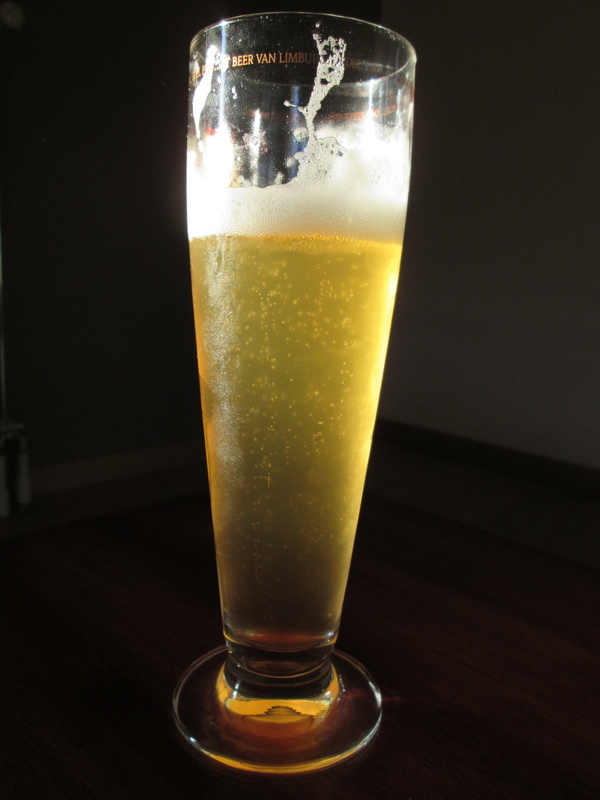 It almost reminds me of a sparkling wine, that’s how light at fizzy this beer is. 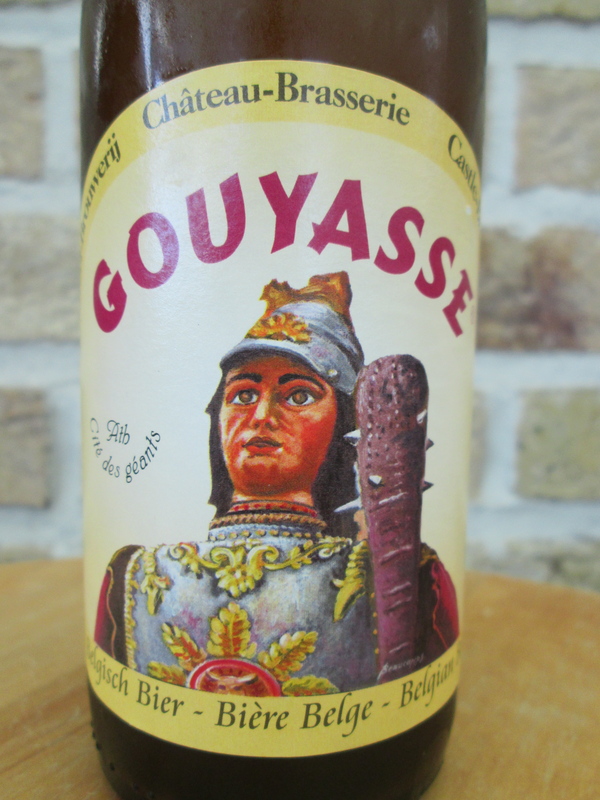 I prefer beers with stronger flavor, obviously, but this Gouyasse beer is pretty refreshing, but still, it holds its own. I won’t necessarily go and seek out this beer for its own sake, and give it a 5/10 for my own personal preference.